Once the data had been obtained by each of the 32 data collectors, it was combined into a general database in order to conduct analysis. 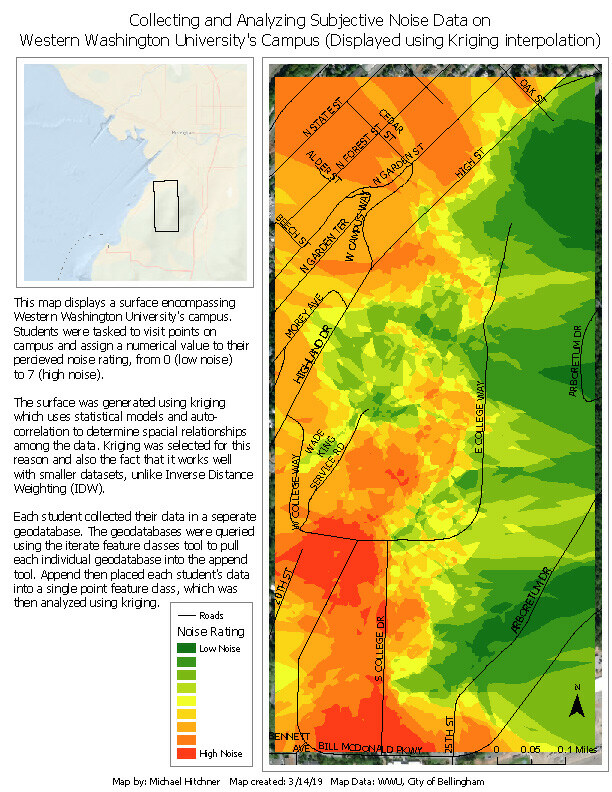 The point data was used to create raster features showing the subjective noise values across the Western Washington University campus. The loudest areas appear to be along roadways or near the parking lots. Once the data had been obtained by each of the 32 data collectors, it was combined into a general database in order to conduct analysis. 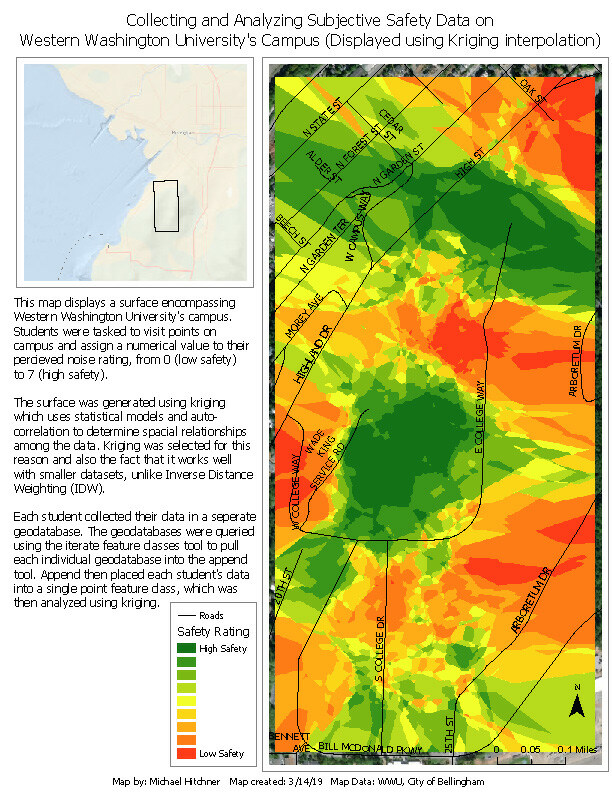 This point data was used to create raster features that show the subjective safety values across the Western Washington University campus. The safest areas appear to be those that are away from roadways and in well lit open areas. In order to obtain the data for the over 400 point locations across the Western Washington University campus, the points were split into sets of 15 for each of the 32 data collectors. Each collector was responsible for collecting data for their assigned 15 locations. This data involved subjective ratings for safety and noise level, as well as any related comments for each location.